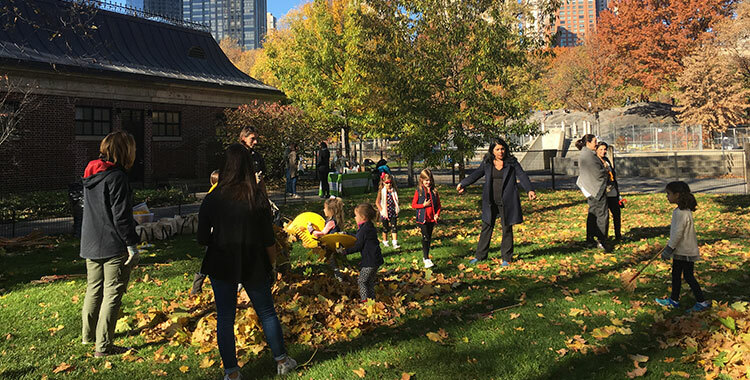 Playground Partners is a program of the Women’s Committee of the Central Park Conservancy that is geared towards families with children 10 and under. The mission of the Playground Partners is to maintain the quality and cleanliness of Central Park's 21 playgrounds. Our playgrounds embody the highest standards of safety, innovation, and creativity, but these standards cannot be sustained without donations like yours. Joining as a Playground Partners member is a wonderful way to directly engage in your community of families and neighbors. We seek to promote stewardship and environmentalism throughout the Park, bringing unique opportunities for camaraderie and friendship for you and your children. The funds we receive go directly towards the preservation, care, and daily inspection of these cherished play spaces. With your generosity, our playgrounds can continue to enrich the quality of life for present and future generations of children and be an essential part of a healthy childhood for all families living in New York City. The Playground Partners host two annual fundraising events, the Winter Luncheon and the Annual Family Party. The Winter Luncheon features a cocktail hour, guest speaker, and lunch at New York City’s iconic Rainbow Room. 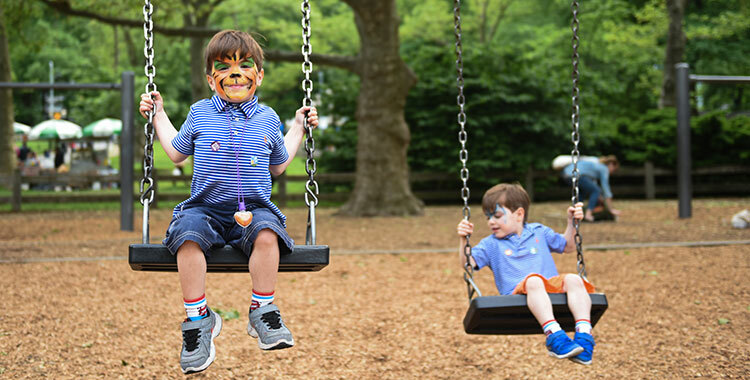 The Annual Family Party, which is held each May in Central Park’s Heckscher Playground, boasts a vast array of family-friendly activities, games, and performances. PGP Tots is a subcommittee of the Playground Partners specifically for moms with children infant to preschool age. 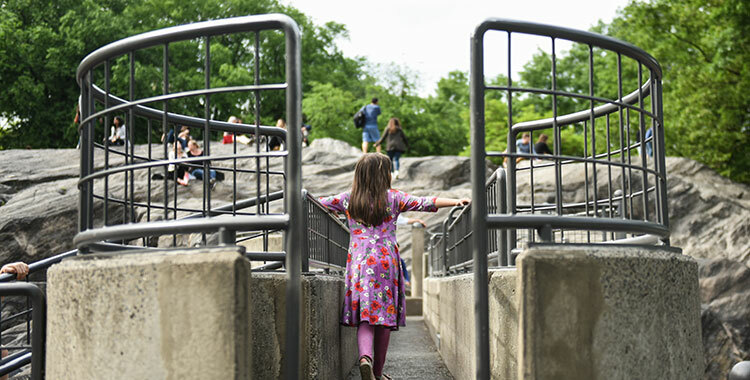 PGP Tots offers moms the opportunity to network, share resources, and discover all that Central Park has to offer its youngest visitors through informal gatherings such as play dates, stroller walks, and informational lectures. Honor someone special by supporting Central Park's playgrounds! With a minimum donation of $25, the Conservancy will add new sand to playground sandboxes. The person you are honoring will receive an ecard or mailed certificate indicating the gift.